BRIDAL PARTY & SIMPLE SEASONAL CENTERPIECES — The Windflower Design Co.
We chat, maybe over coffee, about what makes you uniquely you and who this lucky love of your life is. We'll go over the details of the celebration and figure out what colors/style catch your eye. 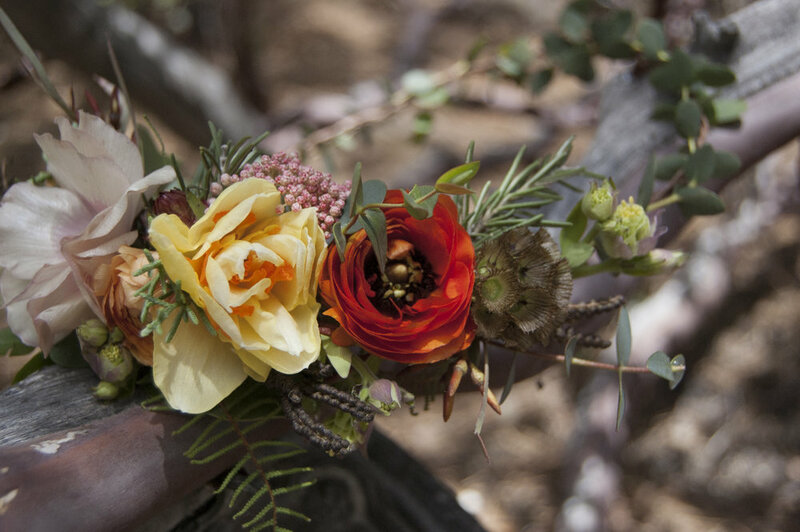 We'll decide on a color pallet and pick out a few favorite blooms to be the star of the show. Then we will create a proposal tailored to your day- outlining your bouquet, flowers for the ladies and gents and a mix of simple but eye catching centerpieces. Your fresh blooming beauties will be packed and ready to go. We'll prep them for easy transportation & smooth set up. And you know those Aunt that just really wants to help you out- this is where they come in. Send em' my way! Our à la carte designs will be easy to set up and we'll send a diagram to assist your helpful fam. Tear down is a breeze - we'll include a cute sign that encourages guests to take the centerpieces home with them, vases and all! They are designed to be shared and enjoyed. We do offer delivery & set up for additional cost. 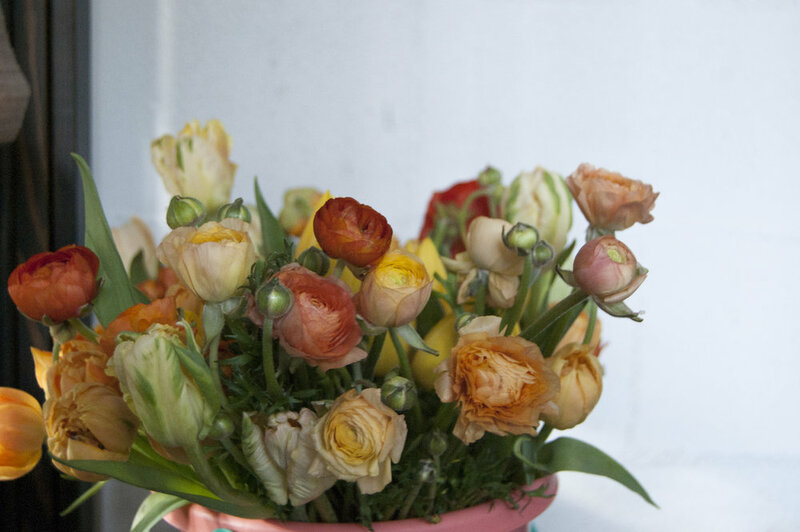 LOCAL - We love local, whimsical garden flowers & supporting our local farms. We think you probably do too. à la carte utilizes a few key varieties and whatever is in bloom in your style & colors. REUSE - We think flowers are to be enjoyed beyond the weekend, so send those pretty babes to good homes after the dancing is done. 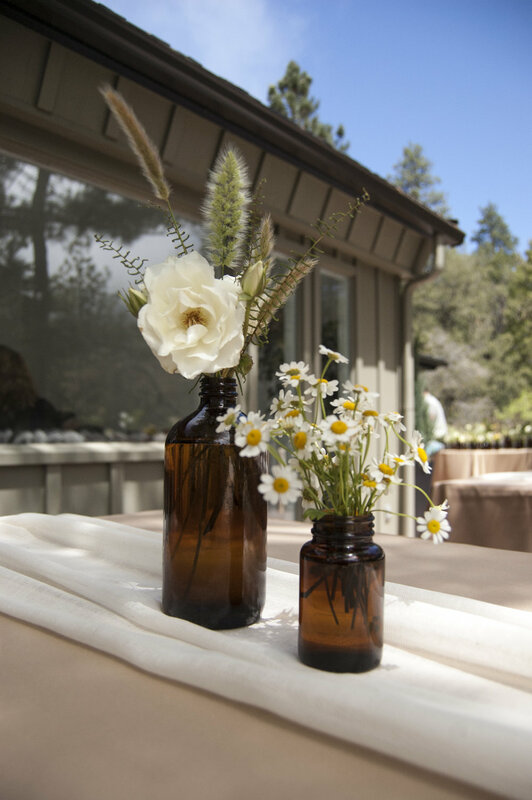 We hope those vases will be filled again and again with candles, cuttings from a garden, or a sweet farmers market bouquet. ECONOMICAL - Designed to give each bloom a spotlight these arrangements are on the more minimal side. With lots of vibrant greens & farm fresh favorites they pack a lot of punch. We recommend a budget of around $800 to $2,500+ depending on your needs, style and size of the event. Please send us an inquiry | here | to get a better idea of pricing for your à la carte floral needs. We request a 50% deposit at booking. Want to dive into design details and need set up and tear down?